Alebrijes Oaxacan On E. Main Santa Maria in the old Tortillia Mexico #5 location. Quite good, make sure you get the horchata out of the bathtub and not the machine (this takes some pointing and I *believe* if my Spanish was working that day, they call the stuff in the machine “horchata” and the stuff in the 5-gallon bucket “fresca”. It costs a dollar more but is terribly worth it, packed with visible cinnamon and floating whole grains. El Oaxaqueno next door to the market of the same name in the old Taqueria Carmelita location blew me away. Nobosy spoke any English, which is rare in a town like Santa Maria. 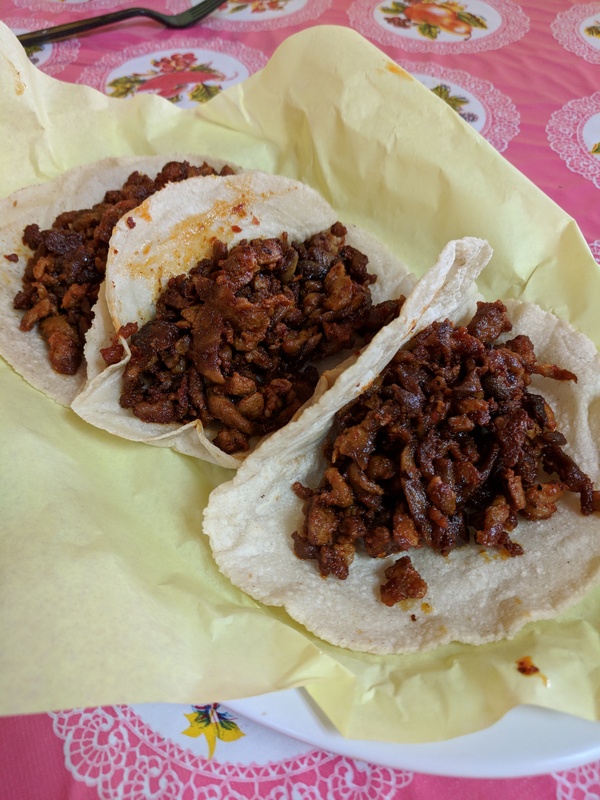 Much pointing and gesturing with my abyssmal Spanish and I had al pastor tacos. The Tortillas are these course ruffly yellow things, thick and uneven and the meat incredible. This is hitting the list at ♦♦♦ yes you read that right. 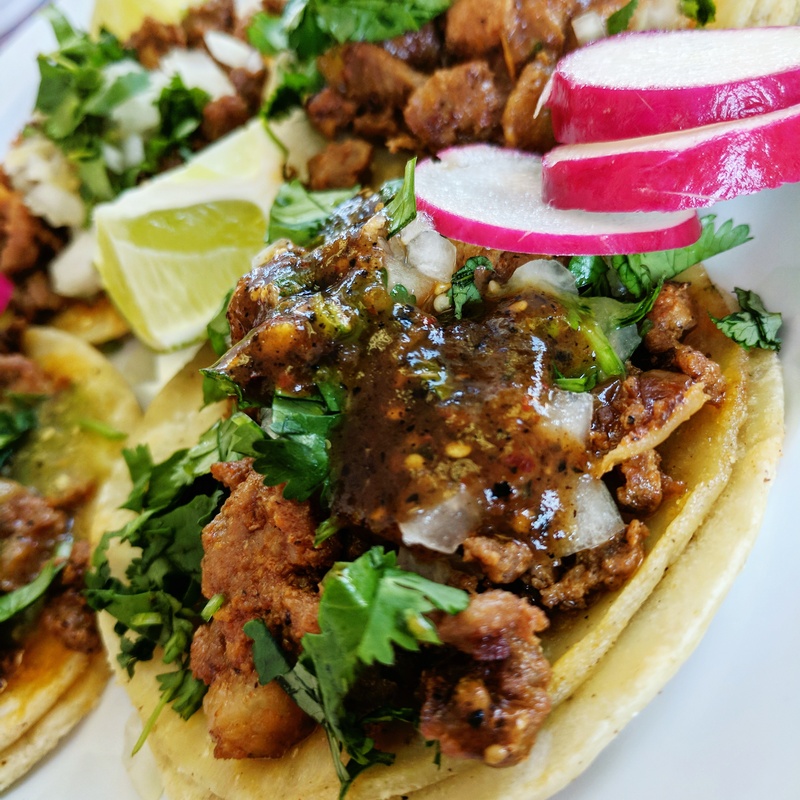 My new favorite tacos in Santa Maria, and that is a STRONG grouping. 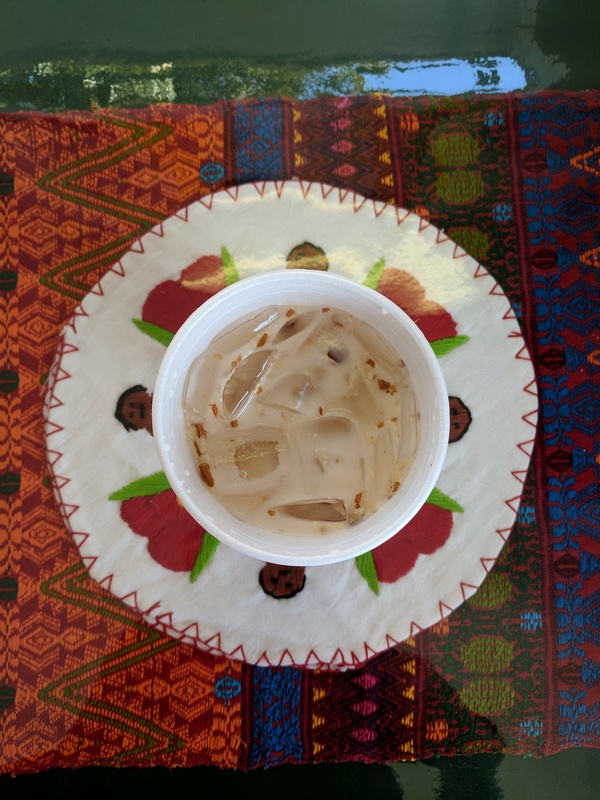 Their horchata too is brown and creamy, ladled from bucket.